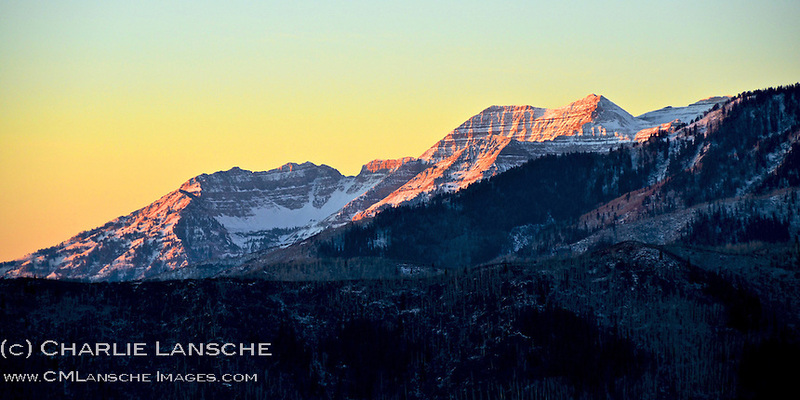 The first rays of light cast a warming light on the majestic monolith of Mount Timpanogos. Wasatch Mountains, Utah. November 2011.